C. Kocabas, S.J. Kang, T. Ozel, M. Shim and J.A. Rogers, “Improved Synthesis of Aligned Arrays of Single-Walled Carbon Nanotubes and Their Implementation in Thin Film Type Transistors,” Journal of Physical Chemistry C 111(48), 17879-17886 (2007). X. Dong, D. Fu, M.O. Ahmed, Y. Shi, S.G. Mhaisalkar, S. Zhang, S. Moochhala, X. Ho, J.A. Rogers and L.-J. Li, “Heme-Enabled Electrical Detection of Carbon Monoxide at Room Temperature Using Networked Carbon Nanotube Field-Effect Transistors,” Chemistry of Materials 25(19), 6059-6061 (2007). X. Feng, M.A. Meitl, A.M. Bowen, Y. Huang, R.G. Nuzzo and J.A. Rogers, “Competing Fracture in Kinetically Controlled Transfer Printing,” Langmuir 23(25), 12555-12560 (2007). E.L. Gui, L.-J. Li, K. Zhang, Y. Xu, X. Dong, X. Ho, P.S. Lee, J. Kasim, Z.X. Shen, J.A. Rogers, and S.G. Mhaisalkar, “DNA Sensing by Field-Effect Transistors Based on Networks of Carbon Nanotubes,” Journal of the American Chemical Society 129, 14427-14432 (2007). S.J. Kang, C. Kocabas, H.-S. Kim, Q. Cao, M.A. Meitl, D.-Y. Khang and J.A. Rogers, ”Printed Multilayer Superstructures of Aligned Single-Walled Carbon Nanotubes for Electronic Applications,” Nano Letters 7(11), 3343-3348 (2007). A.J. Baca, M.A. Meitl, H.C. Ko, S. Mack, H.-S. Kim, J. Dong, P.M. Ferreira and J.A. Rogers, “Printable Single-Crystal Silicon Micro/Nanoscale Ribbons, Platelets and Bars Generated from Bulk Wafers,” Advanced Functional Materials 17, 3051–3062 (2007). J.E. Hall, G.P. Wiederrecht, S.K. Gray, S.-H. Chang, S. Jeon, J.A. Rogers, R. Bachelot and P. Royer, “Heterodyne Apertureless Near-Field Scanning Optical Microscopy on Periodic Gold Nanowells,” Optics Express 15(7), 4098-4105 (2007). D.J. Shir, S. Jeon, H. Liao, M. Highland, D.G. Cahill, M.F. Su, I.F. El-Kady, C.G. Christodoulou, G.R. Bogart, A.V. Hamza and J.A. 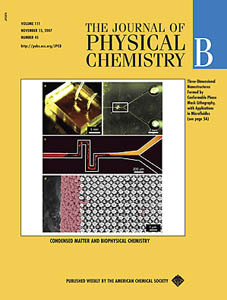 Rogers, Three-Dimensional Nanofabrication with Elastomeric Phase Masks,” Journal of Physical Chemistry B 111, 12945-12958 (2007). J.A. Rogers, “Slice and Dice, Peel and Stick: Emerging Methods for Nanostructure Fabrication,” ACS Nano 1(3), 151-153 (2007). J.-U. Park, M. Hardy, S.J. Kang, K. Barton, K. Adair, D.K. Mukhopadhyay, C.Y. Lee, M.S. Strano, J.G. Georgiadis, P.M. Ferreira and J.A. 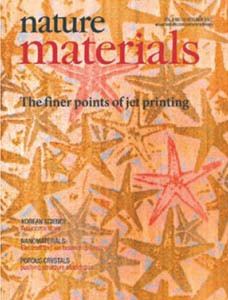 Rogers, “High-Resolution Electrohydrodynamic Jet Printing,” Nature Materials 6, 782-789 (2007). C. T. Koh, Z. J. Liu, D.-Y. Khang, J. Song, C. Lu, Y. Huang, J.A. Rogers and C.G. Koh, “Edge Effects in Buckled Thin Films on Elastomeric Substrates,” Applied Physics Letters 91, 133113 (2007). H. Jiang, D.-Y. Khang, J. Song, Y. Sun, Y. Huang, and J.A. Rogers, “Finite Deformation Mechanics in Buckled Thin Films on Compliant Supports,” Proceedings of the National Academy of Sciences USA 104(40), 15607–15612 (2007). N.H. Mack, J.W. Wackerly, V. Malyarchuk, J.A. Rogers, J.S. Moore, R.G. Nuzzo, “Optical Transduction of Chemical Forces,” Nano Letters 7(3), 733-737 (2007). Y.-S. Nam, S. Jeon, D. J.-L. Shir, A. Hamza and J.A. Rogers, “Thick, Three-Dimensional Nanoporous Density-Graded Materials Formed by Optical Exposures of Photopolymers With Controlled Levels of Absorption,” Applied Optics 46(25), 6350-6354 (2007). Y. Sun and J.A. Rogers, “Inorganic Semiconductors for Flexible Electronics,” Advanced Materials 19, 1897-1916 (2007). N. Pimparkar, C. Kocabas. S.J. Kang, J. Rogers, and M. A. Alam, “Limits of Performance Gain of Aligned CNT Over Randomized Network: Theoretical Predictions and Experimental Validation,” IEEE Electron Device Letters 28(7), 593-595 (2007). E. Menard, J. Park, S. Jeon, D. Shir, Y. Nam, M. Meitl and J.A. 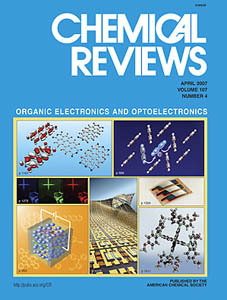 Rogers, “Micro and Nanopatterning Techniques for Organic Electronic and Optoelectronic Systems,” Chemical Reviews 107, 1117-1160 (2007). R. Lin and J.A. Rogers, “Molecular-Scale Soft Imprint Lithography for Alignment Layers in Liquid Crystal Devices,” Nano Letters 7(6), 1613-1621 (2007).(2007). J.-H. Ahn, H.-S. Kim, E. Menard, K.J. Lee, Z. Zhu, D.-H. Kim, R.G. Nuzzo J.A. 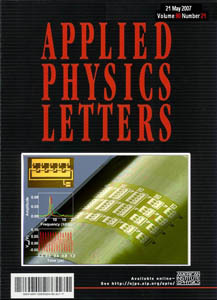 Rogers, I. Amlani, V. Kushner, S.G. Thomas and T. Duenas, “Bendable Integrated Circuits on Plastic Substrates by Use of Printed Ribbons of Single-Crystalline Silicon,” Applied Physics Letters 90, 213501 (2007). V. Malyarchuk, M.E. Stewart, R.G. Nuzzo and J.A. Rogers, “Spatially Resolved Biosensing with a Molded Plasmonic Crystal,” Applied Physics Letters 90, 203113 (2007). S. Jeon, D.J. Shir, Y.S. Nam, R. Nidetz, M. Highland, D.G. Cahill, J.A. Rogers, M.F. Su, I.F. El-Kady, C.G. Christodoulou and G.R. Bogart, “Molded Transparent Photopolymers and Phase Shift Optics for Fabricating Three Dimensional Nanostructures,” Optics Express 15(10), 6358-6366 (2007). W.M. Choi, J. Song, D.-Y. Khang, H. Jiang, Y.Y. Huang and J.A. Rogers, “Biaxially Stretchable “Wavy” Silicon Nanomembranes,” Nano Letters, 7(6), 1655-1663 (2007). Y. Xia, V. Kalihari, C.D. Frisbie, N.K. Oh and J.A. Rogers, “Tetracene Air-Gap Single Crystal Field-Effect Transistors,” Applied Physics Letters 90, 162106 (2007). H. Jiang, Y. Sun, J.A. Rogers, Y. Huang, “Mechanics of Precisely Controlled Thin Film Buckling on Elastomeric Substrate,” Applied Physics Letters 90, 133119 (2007). C. Kocabas, N. Pimparkar, O. Yesilyurt, S. J. Kang, M. A. Alam and J.A. Rogers, “Experimental and Theoretical Studies of Transport through Large Scale, Partially Aligned Arrays of Single-Walled Carbon Nanotubes in Thin Film Type Transistors,” Nano Letters, 7(5) 1195-1202 (2007). S.J. Kang, C. Kocabas, T. Ozel, M. Shim, N. Pimparkar, M.A. Alam, S.V. Rotkin and J.A. 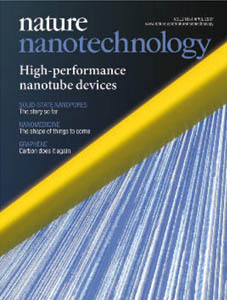 Rogers, “High-performance electronics using dense, perfectly aligned arrays of single-walled carbon nanotubes,” Nature Nanotechnology 2, 230-236 (2007). T.T. Truong, R. Lin, S. Jeon, H.H. Lee, J. Maria, A. Gaur, F. Hua, I. Meinel and J.A. Rogers, “Soft Lithography Using Acryloxy Perfluoropolyether Composite Stamps,” Langmuir 23, 2898-2905 (2007). Y. Sun and J.A. Rogers, “Structural Forms of Single Crystal Semiconductor Nanoribbons for High-Performance Stretchable Electronics,” Journal of Materials Chemistry 17, 832-840 (2007). M.A. 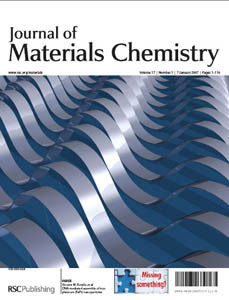 Meitl, X. Feng, J. Dong, E. Menard, P.M. Ferreira, Y. Huang and J.A. Rogers, “Stress Focusing for Controlled Fracture in Microelectromechanical Systems,“ Applied Physics Letters 90, 083110 (2007). N. Pimparkar, Q. Cao, S. Kumar, J. Y. Murthy, J. Rogers, and M. A. Alam, “Current–Voltage Characteristics of Long-Channel Nanobundle Thin-Film Transistors: A “Bottom-Up” Perspective,” IEEE Electron Device Letters 28(2), 157-160 (2007). Q. Cao, M. Xia, C. Kocabas, M. Shim and J.A. Rogers, S.V. Rotkin, “Gate Capacitance Coupling of Single-Walled Carbon Nanotube Thin-Film Transistors,” Applied Physics Letters 90, 023516 (2007).